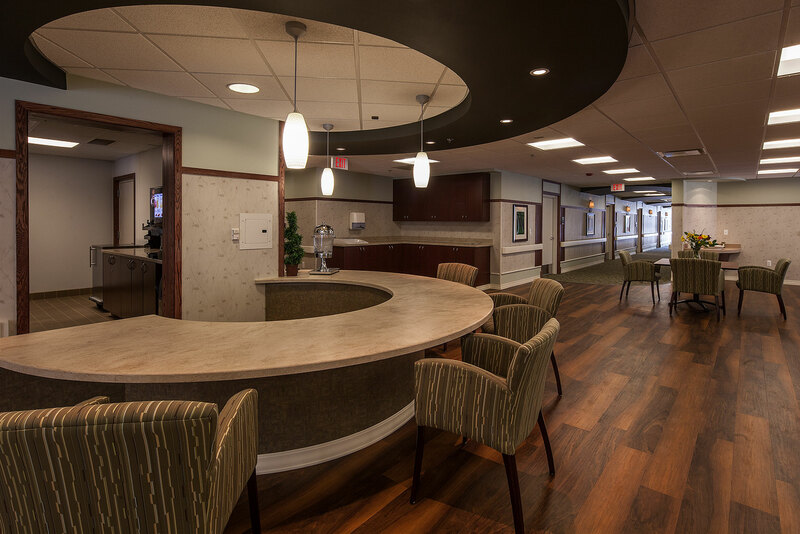 In Skilled Nursing Facilities (SNFs), design trends for nursing stations are moving away from centrally located, hospital-like hubs. 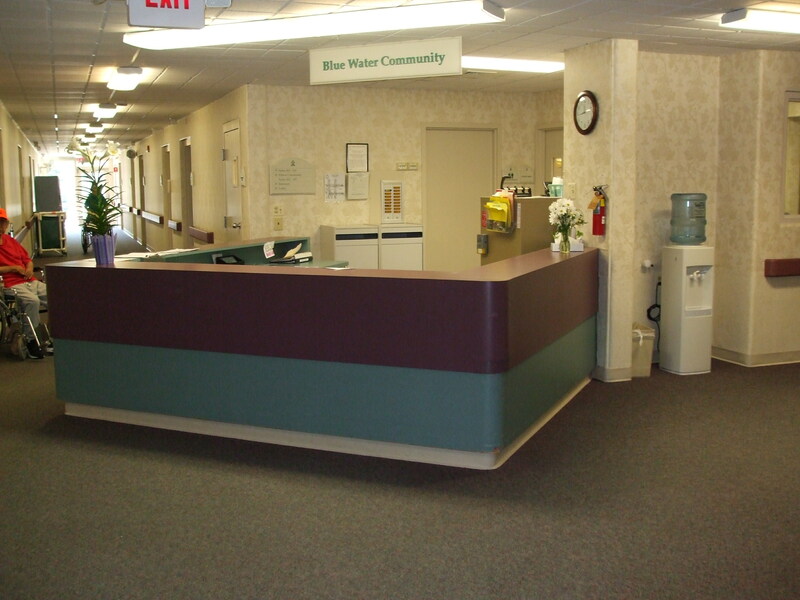 Barriers to care like nurse stations have been eliminated in favor of discrete, wireless paging systems. 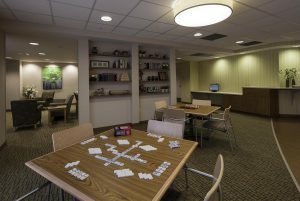 These systems are integrated with cell phones and pagers as opposed to flashing call lights and disruptive overhead paging systems. 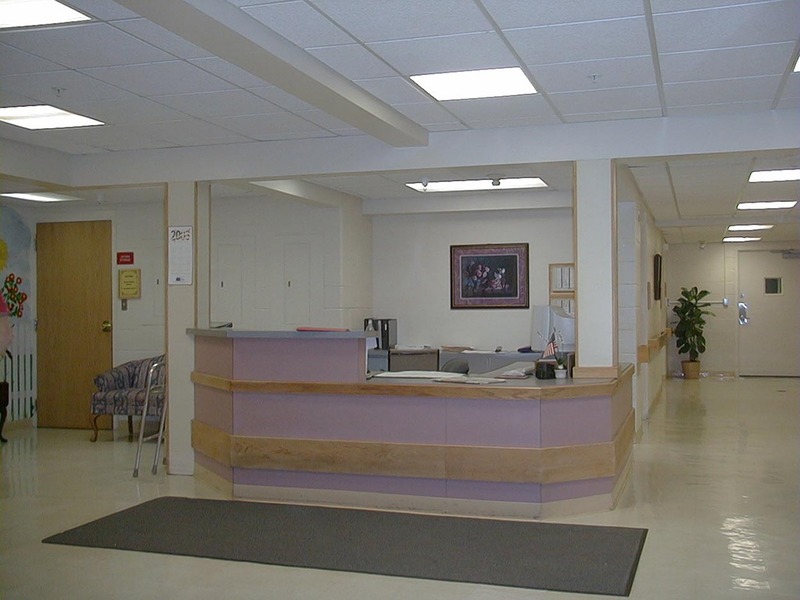 Each client has a distinct vision of how a decentralized nurse’s station may operate. 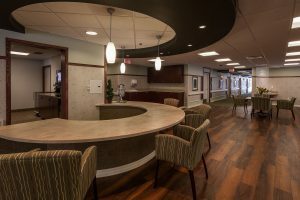 Given programming and operational requirements, an understanding of the level of care, and the type of resident, JW Design creates solutions for each unique challenge. In one instance, a station is concealed in a piece of furniture within a dining room. In another application, before and after photos depict an old central hub transformed into an activity area. In the final example, simple monitors near guest corridors become convenient staff areas. Nursing Station 1 (Before). 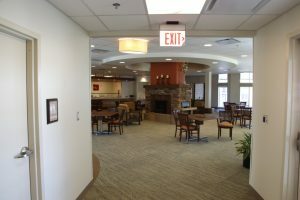 A central hub from a 1980’s era nursing home. Nursing Station 1 (After). The station has disappeared, and is now a gathering area for guests to have their morning coffee. Nursing Station 2 (Before). This station also served as a front desk. Nursing Station 2 (After). The station is now simply a monitor on a small desk. 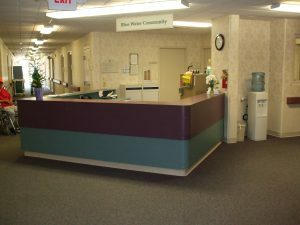 Nurse Station 3 (New). 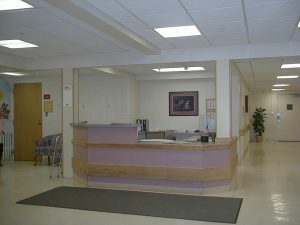 A simple monitor near the entrance to a guest corridor.